Who can resist this 69-inch high ladder bookcase? With two storage drawers, this piece is both unique and practical. Its exquisite symmetry adds style to any room. 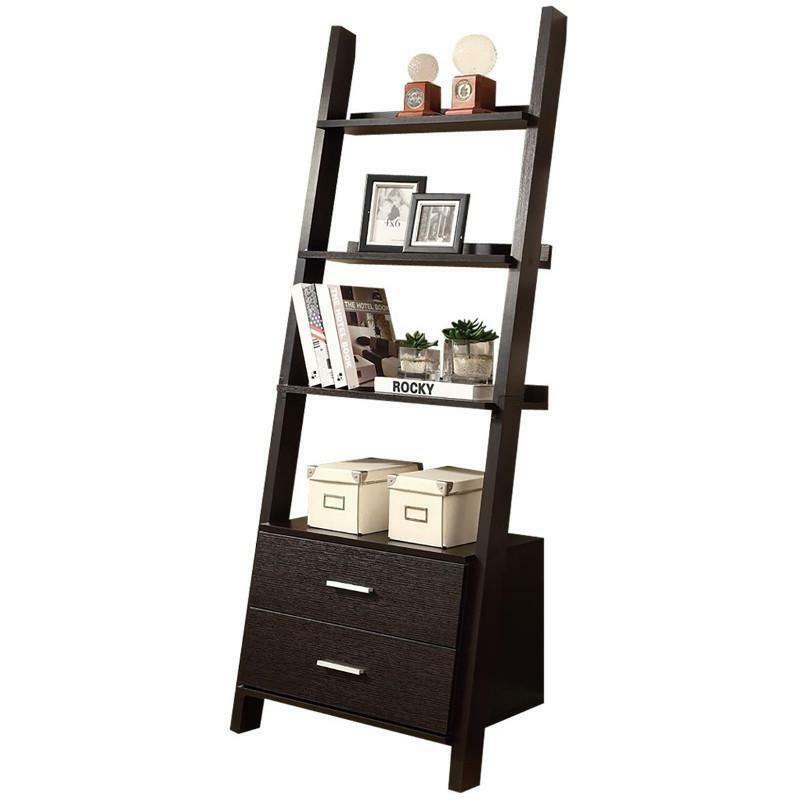 This bookcase has ample room to display pictures, decorative pieces and even books. 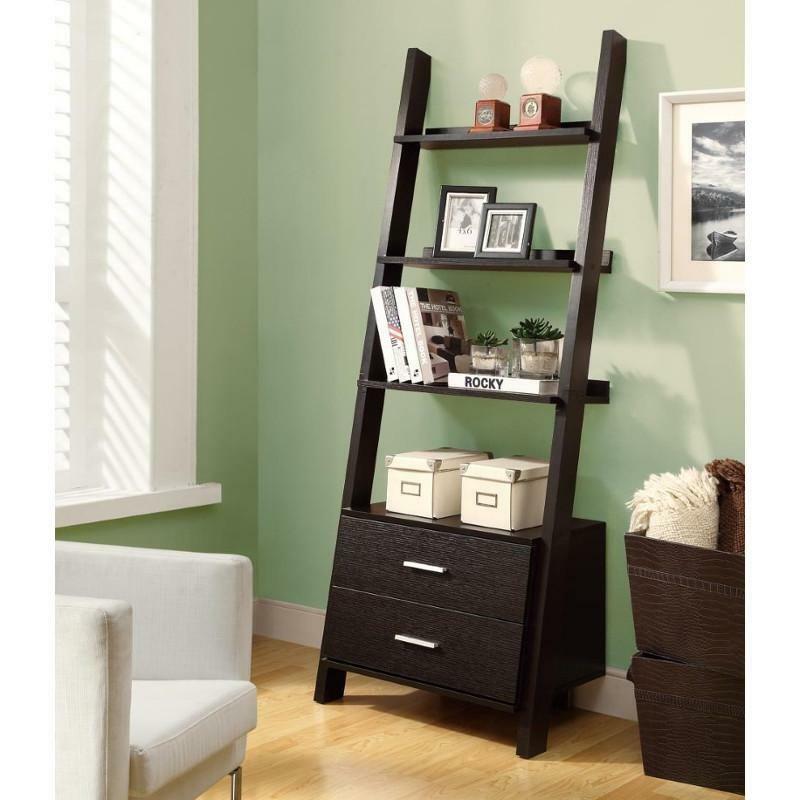 Showcase this solid-wood cappuccino finished ladder bookcase in you home today!